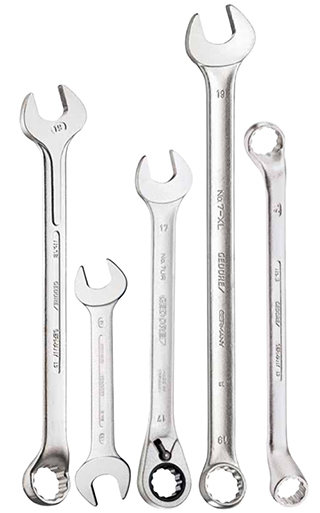 We provide what Torque each Spanner can withstand with the Torque Chart provided here. 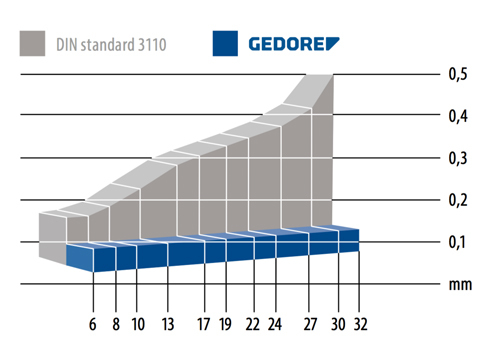 The Tolerance level maintains a very close tolerance than DIN standard 3110. Most importantly our ratchet spanners aren’t use and throw, we even provide service support for our ratchet spanner. Note: Slogging Spanners we Provide sizes upto 250mm on special request.